Download our free guide for resources to help you develop comprehensive estate plans for your clients. An IDGT is an irrevocable trust most often established for the benefit of the grantor’s spouse or descendants. The trust is irrevocable by design in order to remove the underlying trust assets from the grantor’s estate. It needs to be established with a noninterested party as trustee to avoid its accidental inclusion in the grantor’s estate. Also, in order for the grantor to maintain income tax liability, the trust instrument must contain one grantor trust provision from IRC sections 671–679, making it tax “effective” for estate tax purposes but tax “defective” for income tax purposes (i.e., the trust income will be taxed at the grantor level, rather than the trust level). Reacquiring trust assets. Pursuant to IRC Section 674(c), the grantor retains the power to reacquire assets from the trust and substitute them for other assets of equivalent value. This retained interest does not prevent the grantor from making a completed gift to the trust. Borrowing from the trust. IRC Section 672(a) allows the trust to contain a provision giving the grantor or other nonadverse party the power to take loans from the trust without adequate interest or security. To trigger grantor trust status, this power must be retained by the grantor and not given solely to the trustee. Changing the beneficiaries. Under IRC Section 674(a), the trust may give the grantor the power of disposition, which affects the beneficial enjoyment of the trust income or principal. For example, the grantor could retain the power to add noncharitable beneficiaries or to direct distributions to existing beneficiaries. It’s essential that the drafter of an IDGT instrument be aware of all the exceptions to the grantor trust provisions that could have the negative consequence of either losing grantor trust status or causing the trust to be counted in the estate of the grantor. To fund an IDGT, a grantor has two options: make a completed gift to the trust or engage in an installment sale to the trust. A completed gift. Gifts are the most common way to fund an IDGT. The grantor makes an irrevocable, completed gift of the desired assets to the trust. Gifting appreciating assets reaps the most benefit—the income can be retained by the trust and passed to the beneficiaries. Plus, the grantor avoids additional transfer taxes on the asset even if there is a significant increase in value. If the gift exceeds the annual exclusion amount for the year in which the gift is made ($15,000 for 2019), however, transfers to an IDGT are taxable gifts that will reduce the grantor’s unified gift and estate tax credit. An installment sale. One way to avoid a gift tax implication is for the grantor to sell the appreciating asset(s) to the trust, typically in an installment sale. In return, the grantor receives an interest-bearing promissory note payable by the trust. Because the IDGT is a grantor trust, no tax is due on any gain from the sale—the grantor is treated as having sold something to him- or herself. The grantor keeps the ability to maintain an income stream from the installments, or the interest payments are made to the trust to grow the value of the trust corpus for the beneficiaries. If the value of the promissory note is equivalent to the value of the property sold, there is no gift tax liability. Nick, a wealthy property owner, would like to set up a trust in order to remove some appreciated assets from his estate and pass them along to his children, Mike and Mary. Nick’s estate is valued at more than $20 million, so he is certainly facing estate tax liability. Specifically, he owns rental property in a high-profile California neighborhood. The property is worth approximately $4 million and has been appreciating at about 4 percent per year. Nick is expected to live another 20 years. So, what are Nick’s options? If Nick does nothing and holds on to the beach property as an individual, he would bequeath property worth roughly $8,764,493 after 20 years. This would use up a considerable amount of his $11.4 million federal unified gift and estate tax exemption, less any credits he may have. If he gifts the property to an IDGT, he will use only $4 million of his unified exclusion and can give Mike and Mary the benefit of the asset’s growth without incurring additional transfer-tax liability. If Nick sells the asset to the IDGT in an installment sale, he could receive an interest-bearing promissory note in exchange for the asset. The interest could be used to pay the income taxes or stay in the trust—further increasing his gift to Mike and Mary. The example above illustrates some of the benefits of creating an IDGT and funding it with appreciating assets. 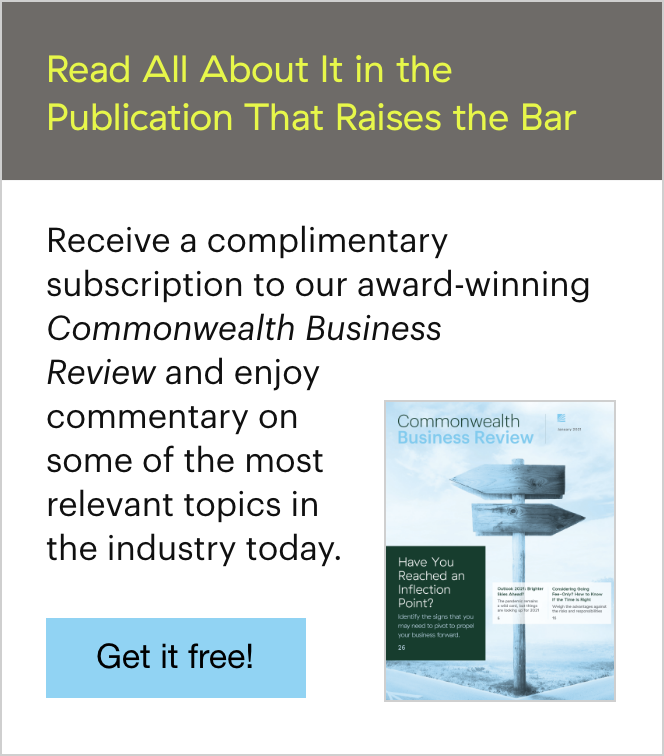 This approach serves both as an estate-freezing technique—by giving the beneficiaries the benefit of the appreciation without incurring additional transfer taxes—and as a way to remove assets completely from the grantor’s estate by putting them in an irrevocable trust. The income taxes paid by the grantor further reduce the value of the estate, and these taxes are not considered additional gifts to the trust or its beneficiaries. In addition, if the grantor engages in a sale of assets to the trust in exchange for a promissory note, there is no recognition of gain or loss. Essentially, the income earned by the trust is earned free of income tax liability to anyone other than the grantor. The benefits of tax-free growth only increase as time passes and the assets appreciate. Furthermore, because of the compressed tax rate schedule for trusts, the grantor is usually in a lower tax bracket than the trust, which makes funding the IDGT with appreciating assets also suitable for income tax savings. Another advantage comes from the fact that an IDGT is a grantor trust. This gives the grantor the ability to control (to some extent) the beneficial enjoyment of the trust. Many forms of irrevocable trusts that do not include the grantor trust provisions require the grantor to relinquish all rights and powers with respect to the trust and the trust assets, with no retained interest. So, despite being irrevocable by design, IDGTs offer tax benefits, as well as an added level of flexibility for the grantor. 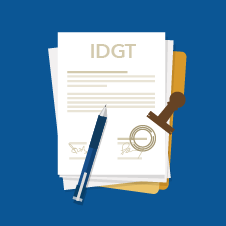 When drafted and funded appropriately, IDGTs can be a very useful estate planning tool. They can effectively freeze the value of assets transferred to the trust, giving maximum tax savings to the grantor. And when the trust is finally distributed, the beneficiaries can enjoy the benefits of the tax-free growth of the assets. Have you used intentionally defective grantor trusts to develop comprehensive estate plans? If so, how did your clients benefit from the tax benefits and flexibility they can provide? Please share your thoughts with us below. 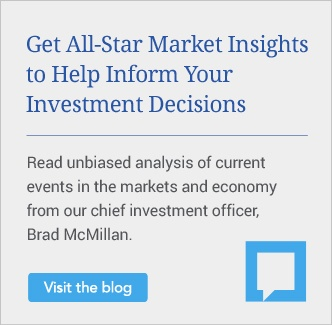 Editor’s Note: This post was originally published in January 2017, but we’ve updated it to bring you more relevant and timely information.